Advanced Internet Blocks can often be seen written as "AIB" and works without requiring any monetary authorities. 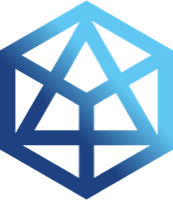 Advanced Internet Blocks, a decentralized crypto currency, follows the Scrypt algorithm along with the proof of work (pow) consensus. We don't have any cloud miners listed for Advanced Internet Blocks yet, check back soon! We don't have any exchanges listed for Advanced Internet Blocks yet, check back soon! We don't have any wallets listed for Advanced Internet Blocks yet, check back soon! We don't have any debit cards listed for Advanced Internet Blocks (AIB) yet, check back soon!